Power your own disco straight from your computer with this easy to use DJ Mixer app. 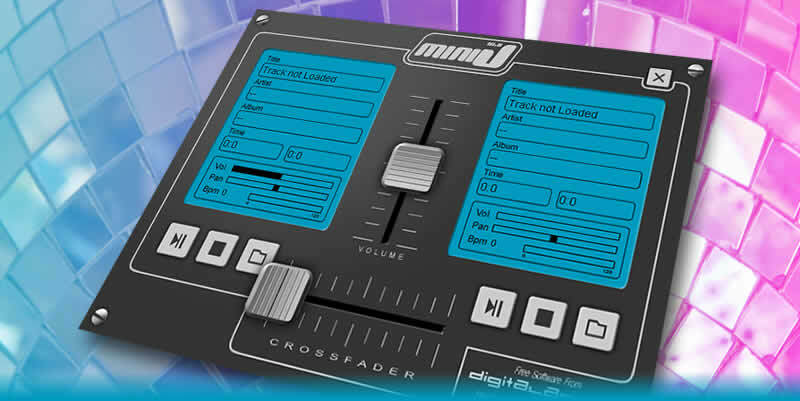 The Mini-J DJ music mixer is an easy entry to sound mixing software that's simple to get to grips with straight away. Just plug speakers into your computer audio output, load up your MP3 collection and you're ready to party. Mini-J is powerful enough to provide all the basic features of a 2 channel DJ music mixer, but easy enough for even younger kids to learn and use, providing a fun experience of using virtual sound mixing equipment but without the cost of the real thing. Budding media producers and entertainers of the future start here. Windows computer with monitor, speakers and Flash plugin. Online play is not available for this app. Please download the desktop version. This started as an experiment in controlling audio using Flash ActionScript, but as usual I got a bit carried away. Please note that this version will play any standard MP3 file, but can't deal with Windows Media, Real or iPod files just yet. Quickly turn your PC and MP3 collection into an instant disco. Easy for younger students to learn to use while providing all the standard features of a 2 channel disco music mixer.